We talk a lot about what to put in your Bug Out Bag – but what about the Bug Out backpack itself? Since this is the bag which is going to be holding all of your gear and hopefully keep everything safe, then you better choose it carefully. There isn’t one “best” Bug Out Backpack for everyone. We each have really different needs. So here are some of the things to consider to make sure you get the right Bug Out backpack for you! 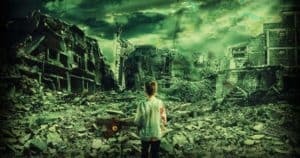 This is something which is usually talked about as an afterthought when picking a Bug Out backpack. But I’d say it is the most important part – so it needs to be addressed first. Or do you want a backpack which will blend in with the crowds? 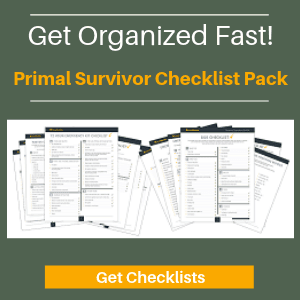 One member of our Primal Survivor community, for example, said he uses a diaper bag for his BOB. No one (except maybe a desperate parent) is going to attack you for diapers, so your survival gear will probably be safe disguised in a diaper bag. But a diaper bag also doesn’t meet any of the other requirements of a good Bug Out backpack which we talk about below. So, here are some solutions…. Get a [email protected] tactical-style backpack, but carry it in a trash bag until you get away from civilization. Use a standard school-style backpack. It isn’t exactly disguised, but it also doesn’t stand out. Be prepared to defend yourself and Bug Out backpack from theft! Have your weapon visible so potential thieves know that you aren’t going to be an easy target. Backpacks come in many styles, and some are going to be a lot better for certain Bug Out situations than others. When you’ve got multiple people bugging out together and you want to divide up gear. Good for urban preppers because the backpack will be fairly discreet. This is an okay choice for a Bug Out pack that you will keep in your car if you are pretty sure you’ll be able to bug out by vehicle. Otherwise, I can’t think of any scenario where a duffel bag makes a good choice except maybe if you suffer from back pain and want to carry your pack in your hands. You’re going to stand out in the masses of unprepared people! This is probably your best choice, but only if you can disguise it somehow while still near people. 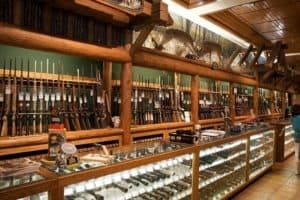 If you live in a rural area away from people, then this isn’t such a worry so go ahead and use a tactical pack for your Bug Out backpack. Huge! Good luck running with one of these on. You’ll really stand out in the crowds. Good choice for people in cities. The straps are the part of the Bug Out backpack which get the most strain. More specifically, the part where the straps attach to the rest of the pack. They straps need to be nice and wide to withstand this strain, and also have reinforced stitching. Zippers also have to withstand a lot of strain. If your zipper breaks, then it is really going to be a pain in the @ss to carry your Bug Out backpack. AVOID metal tooth zippers. They corrode quickly and also are prone to getting stuck. A better choice is plastic coil zippers. Again, look for reinforced stitching. 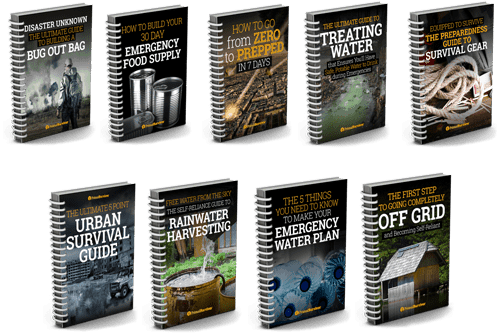 There are all sorts of backpack materials to choose from for your Bug Out backpack. I can’t go through them all here. Denier: This is the yarn size used for the backpack material. A heavier denier means a heftier material. Tenacity: This is a measure of how likely a backpack material is to continue ripping if it gets a ripe. Stitches: This is how many stitches there are per inch. You’ll probably want at least 10 stitches per inch. No backpack is 100% waterproof. Even the ones which advertise themselves as waterproof are likely to leak at the zippers and seams. But it is still a good idea to choose a waterproof material. You’ll want a backup though, like a waterproof shell you can put over your pack or even a thick trashbag. Another possibility is to keep all your items in a “dry sack” inside your Bug Out Bag. It won’t keep the backpack dry (such as if it rains) but it will keep your BOB contents dry if you, for example, have to cross a river quickly and don’t have time to take off your pack. There are two approaches to picking out a Bug Out backpack size. 1) FIRST see what you want to put in your Bug Out backpack, and then find a pack which will fit all of this gear. 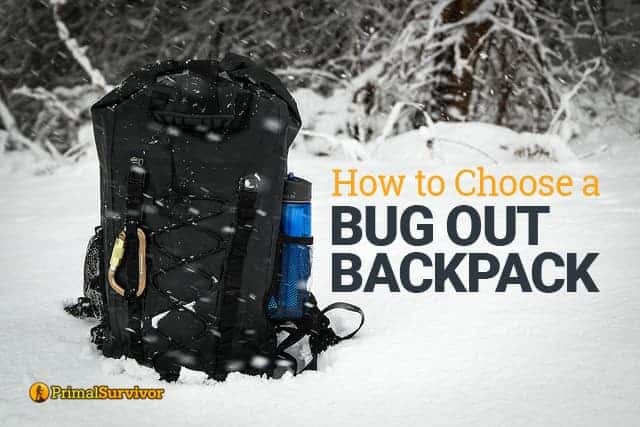 2) FIRST choose a Bug Out backpack, and then try to fit all of your gear into it. It is probably better to go with option 1. However, if you do this, you might end up with a really huge backpack. So, consider whether it is smarter to find a Bug Out backpack which you could reasonably carry long distances comfortably. Then work on getting all of your gear into this pack. For most individuals, 30 liters is a good size for a Bug Out backpack. This size has enough room for all critical items, but is still small enough that you could actually run with the pack on. If you can’t fit everything in here, then you probably have too much stuff. Of course, if you’ve got kids or are bringing a tent along (read whether you should bring a tent or tarp in your BOB), then you’ll need a bigger pack. 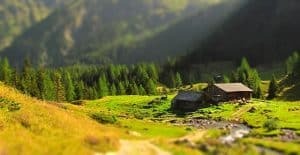 When I go backpacking in the wilderness with my family, my pack is 55 liters – which is pretty huge for a BOB but probably the right size for someone without wilderness survival skills who will be needing things like a tent, sleeping bags, etc. Look for a Bug Out backpack which has hip straps, sternum straps, padded shoulder straps, and a breathable backing. An internal frame is also great if you have to use a larger backpack for your BOB! Having lots of compartments makes it easy to organize and access your survival gear. I also love backpacks which are MOLLE compatible. Basically, that means you’ll be able to attach gear to the outside of your pack. Read about MOLLE here. Do you really want to stop and take your pack off each time you need a drink of water or to get something from your BOB? This is why accessibility is so important! 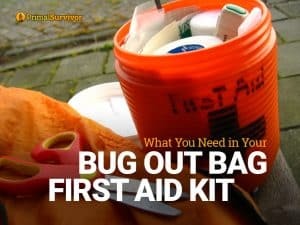 Look for Bug Out backpacks with side pockets or hydration pack compatibility so you can easily get your water (which is probably what you’ll be accessing most often). You might consider a 1-shoulder strap backpack (messenger style backpack). These aren’t as comfortable to wear because the weight is only on one side, but you can easily shift the bag to your front to get whatever you need. 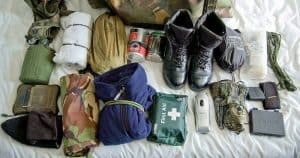 What do you use for your Bug Out backpack? How did you make the choice? Let us know in the comments!